Way to make a statement! 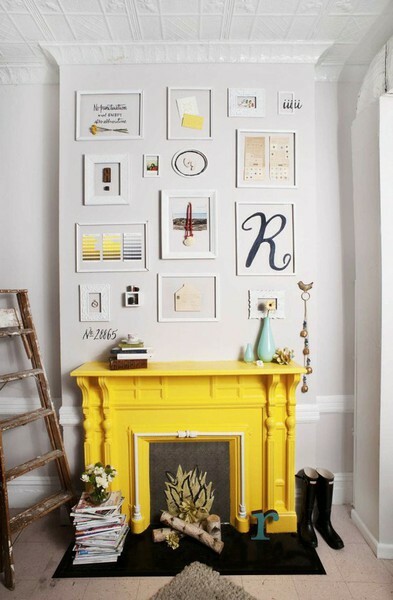 Love how that beautiful yellow is subtly carried through the room by using yellow in some of the artwork hanging above. The kitsch and slightly outdated look of the fake fire, ceiling moulds and floor tiles is somehow turned around into being modern and minimally cool by that powerful feature colour.